The interesting side note about this show is that I almost skipped it due to a double booking on this night....luckily I was able to go between this one & the Amaranthe show at Rams Head Live because this one ended up being a total game changer. 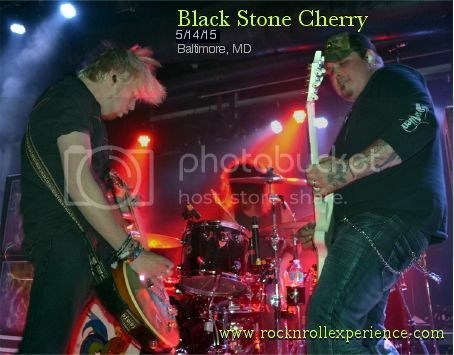 Black Stone Cherry played a short set which fused rock n roll with the blues which was packed into a fist pumping explosion of music that gave the audience a great rock show. 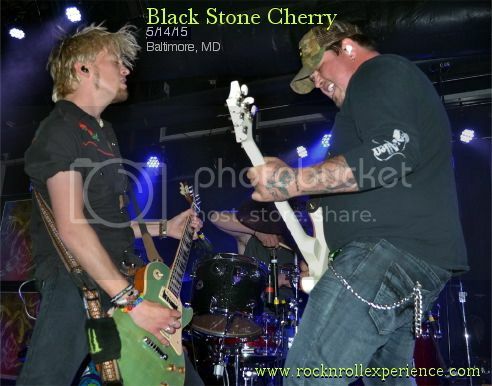 Musically Black Stone Cherry mix elements of old school 70’s riff rock with modern music; I’ve always felt like BSC were more rooted in the past than the present though and that’s a good thing! Black Stone Cherry have one of the hardest hitting drummers in the business and every time I’ve seen him play I am reminded of Animal from the Muppets because he’s crazy behind the kit! Before Black Stone Cherry’s set had ended I went back to Rams Head Live to catch the start of Amaranthe’s set and made it a point to arrive back at Soundstage at the 10 PM mark to catch the start of Rival Sons set. This was also going to be the gauge as to whether I stayed for the entire Rival Sons set or went back to Rams Head Live to see the rest of Amaranthe. Rival Sons took the stage using an old school western score as their intro; once the band took the stage it was like witnessing Led Zeppelin in their prime! Musically Rival Sons are rock, soul, rhythm, blues, and everything in between! I was in awe of the bands sound, their style, their tone, their attitude, and their overall presence because Rival Sons are the “real deal”! 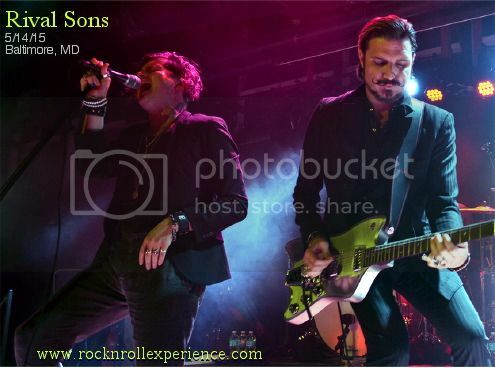 Sonically there isn’t a band out there that can touch Rival Sons because they ARE what they play. I did wind up going back to Rams Head Live to catch the encore of Amaranthe but made it back over to catch the last hour of Rival Sons 2+ hour set. Rival Sons are a band you have to see live to understand; I feel like they could be the next big thing if they get the right push because all of the ingredients are there; great music, great looks, and great sound. 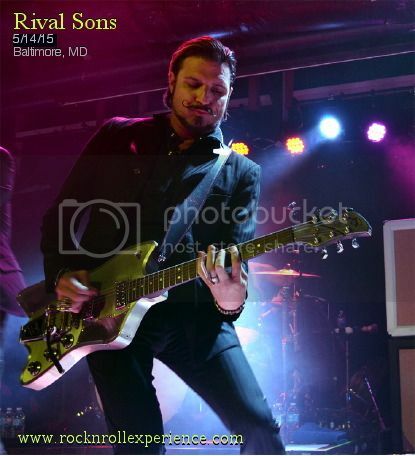 Seeing Rival Sons was like going to church; it was an experience that changed my outlook on rock n roll for 2015. Click here to “Like” Rock N Roll Experience on Facebook!